By the Spring of 1940, Hitler's army had marched through Europe very quickly taking over unprepared and undefended countries while the rest tried to desperately make peace pacts and deals with the Nazi machine. 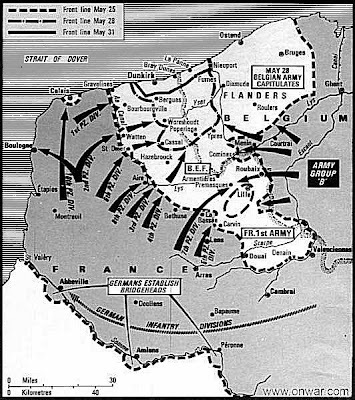 By the time the British realized that pursuing peace was pointless, the German forces had surrounded them in a classic pincer movement in the North of France and Belgium. 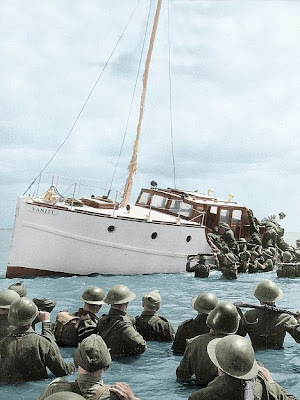 Winston Churchill, who had just been instated as Prime Minister, immediately recognized the impending disaster and called on all able bodied seamen and seaworthy vessels to sail across the English Channel to rescue as many of the trapped soldiers as possible from the Dunkirk beaches. So gloomy were the predictions that most felt saving 40,000 soldiers would be a miracle. Between May 26th and June 4th 1940 over 700 civilian vessels participated in this impromptu evacuation. 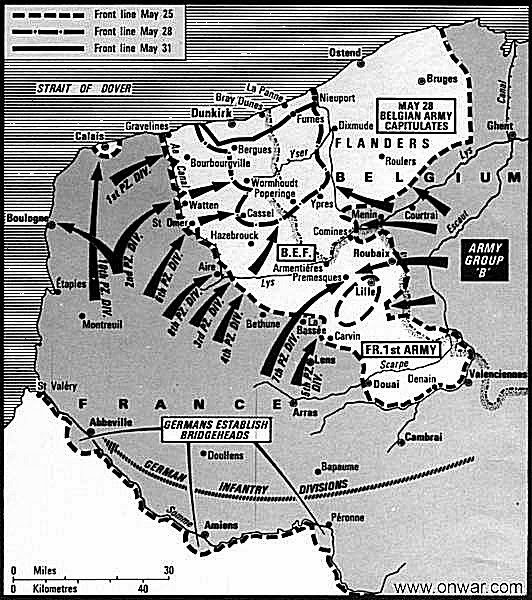 Many repeated the journey between Dover and Dunkirk multiple times, navigating through choppy waters filled with mines and constantly trying to avoid the bombs and shelling of the German forces. In the end over 330,000 soldiers were rescued from the beaches of Dunkirk (almost 10 x more than even the most optimistic predictions). This incredibly successful rescue triggered Winston Churchill's defiant speech "we shall fight them on the beaches, we shall fight them in the air and on the land and on sea...but we shall never surrender". What has Temple and Family History work got to do with Dunkirk? When Elijah restored the keys of sealing it set in motion the beginning of the greatest rescue operation known to mankind save the Atonement itself. We have been asked to be a part of that – us in our small vessels. Do you think people feel overwhelmed sometimes when they think about all the Lord requires - including temple and family history work- all the while navigating the choppy waters and trying to avoid the mines and bombs of life? What is it that is can feel so daunting about it? Remember the Lord does not expect us to run faster than we have strength. For some going to the temple may still be only a dream. For others, having a young family might present its own challenges. The Lord understands this and requires only that which we are able and that which we are willing to offer - no matter how small our offering or vessel. What kind of different things could we do based on individual circumstances that still allow us to participate in temple and family history work? Answers may include prepare your 4 generations of family history using Family Search. Be worthy of and hold a current temple recommend, learn about ancestors lives, keep a personal journal, babysit for families so the parents can attend the temple etc. "I believe the Lord is anxious to put into our hands inventions of which we layman have hardly had a glimpse." When you think about that, isn't it amazing to recognize how great the tools are that He has provided for us over these last few decades? I remember in my early years going to St Catherines House, London where many of the public records of our ancestors were available and sitting there all day as my mother researched the necessary records to complete her family history. It was ultimately rewarding but a very long day. Today I can, with a click of a button on my iPad, open all of that knowledge in an instant right in front of my eyes, as if receiving a glorious vision of my ancestors. This modern technology truly is a marvel and a blessing in this great work. Watch this video for another great way to include the entire family in this great work. For some families this may be the season for just inspiring their children to learn about their ancestors. This video suggests a couple of great ways to do that. Having "laboured" through many family home evenings and scripture studies and family prayers with 5 young children I got a kick out of the kid telling his dad to let him go at the beginning! I thought that was an excellent idea to invite your local Family History Consultant to a Family Home Evening. I thought it was an even better idea of hers to get the kids involved by re-enacting an ancestor's story in a play. What do you think he meant when he said "No work gives us more power."? On May 26th 1940, the soldiers waiting to be rescued at Dunkirk waded into the waters up to their shoulders trying to avoid the bombing and the shells on the beach. Many waited hours in the water like this. When you think about these soldiers and how desperately they wanted to be rescued, it is not hard to see how important every single person was with their little ships and every single return trip to the beaches of Dunkirk. Now imagine that in the context of the billions of spirits waiting to be rescued by us. This is a long quote by President Eyring but well worth the read. “Wilford Woodruff spoke of Joseph and Hyrum and David Patten, the first apostle to be martyred in this dispensation, and said that they had 50 times as many people to preach to as we have on the earth, and he said that in 1873. Think of the billions who have gone to the spirit world since then. And Lorenzo Snow, who is now preaching with them, said this in 1884: “I believe that when the gospel is preached to the spirits in prison, the success attending that preaching will be far greater than that attending the preaching of our elders in this life. I believe there will be very few indeed of those spirits who will not gladly receive the gospel when it is carried to them. The circumstances there will be a thousand times more favorable. Yet, with all their faith and skill and hard labor they can only bring people to faith in the Savior and his gospel enough to give them a broken heart and a contrite spirit. They can bring them to the desire to be baptized. Then they must wait again, aching for the blessings of the gospel. Even Joseph the Prophet cannot baptize there. He cannot lay hands on their heads to confer the Holy Ghost. He cannot endow them. He cannot seal them. That can only be done by us, the living, and by those we serve in the sacred temples now spreading across the earth. Can you see at least in your minds the myriads waiting? Can you see those great missionaries waiting on us? Have you heard missionaries report, as I did just the other day, that the greatest joy of their lives was to baptize converts and to confer the gift of the Holy Ghost? But even David O. McKay and Spencer W. Kimball and Ezra Taft Benson must wait on us, with those in the spirit world they have loved and taught and converted. Imagine the joy of those who died without hearing the gospel when they looked through the veil and saw you or one of your sons or daughters knock on the door of the first of their descendants to hear of Jesus Christ, and of the restoration of His gospel and priesthood with keys. We may have tiny vessels, we may feel overwhelmed, but if we can save even just a few of them is it not worth it? It is a great work and a very rewarding work. I believe the power it gives is the power that comes when heaven and earth is directly connected. It is a divine power, the power of salvation. We are learning to be saviours in Mount Zion. The hearts of the children are turning to their fathers and as they do they will notice that the hearts of many of their fathers have been waiting anxiously for this spiritual reunion. I want you to know that I really enjoy your lessons and insight. I teach Gospel Doctrine and my ward and I am always studying to find ways to add "more" to my lessons as directed by the spirit. Since I found your lessons, I have benefitted from your preparation and words each week and been able to share. Thank you for taking the time to post. Thank you. It was a joy to study and learn as I prepared these lessons and a joy to see others getting something out of theee blogs.